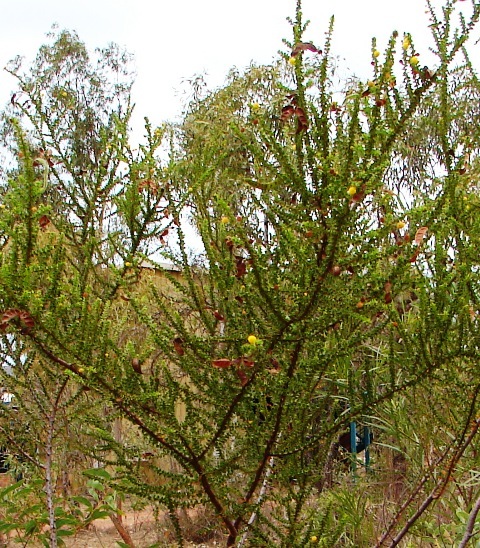 Medium shrub to 2m with small prickly phyllodes and yellow ball flowers. Found in NW and N Kimberley open woodlands. This entry was posted in Acacia and tagged Acacia deltoidia. Bookmark the permalink.